Winter & summer Oz (Oz en Oisans) is traffic free. 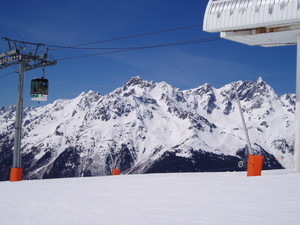 A great environment for families and friends to enjoy a break in the Alps as part of the Grand Domaine ski area (http://www.alpedhuez-granddomaine-ski.com/). The holiday village atmosphere is enhanced by the restaurants and shops lining the main village pedestrian street, which is regularly pisted. In winter Oz is ideal for learners, mixed ability groups, families and experts, skiers or boarders. The village has 3 easy lifts and green slopes at the front de neige, and 2 hi-speed telecabins to whisk the more experienced skiers high into the 10,000 hectares of exciting skiing, up to 3300m on the Sarenne glacier. Skiing home is by blues and reds with Roche Noire, an exciting black run as an alternative for experienced skiers and boarders. Everything in Oz is conveniently nearby, no buses or cars required and many residences are ski in and out. Oz has some lovely traditional restaurants, pizzerias and bars plus a night-club (Grotte du Yeti) for the younger generation. 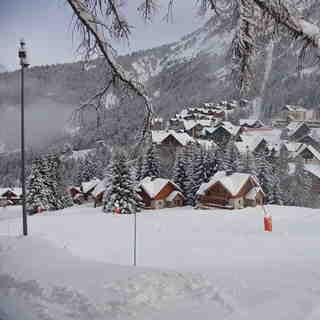 The local supermarket and ski shops are well stocked and friendly. 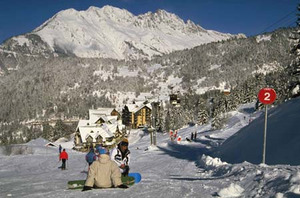 There is a public swimming pool, ice skating and floodlit tobogganing and skiing on the village slopes. In Summer (July and August) Oz gives you easy access to tennis, volleyball, walking, mountain biking, fishing, horse riding and many more outdoor pursuits. The trails are well sign-posted and graded for all capabilities. The lifts are open so walkers and bikers can quickly access the more remote mountain areas. Oz is great for access to Alpe d'Huez to see the Tour de France and hosts many Mountain Bike events such as the Megavalanche and Avalanche Cups. As always lots going on in Oz Station. Tobogganing piste open all day and floodlit some evenings. Major Events this season still to be confirmed. Slopes Open from 15 December 2018 to 22 April 2019. Some slopes in Alpe d'Huez closed 9-16th March 2019, for Tomorrowland Winter DJ Extravaganza. Oz-Vaujany sector will remain open. La Folie Douce open for great food and entertainment,easy ski back to Oz. Visit the Tourist Office at the Poutran Ski Lift, for up to the minute information on all events. Lesen Sie 10 andere Beurteilungen ueber Oz en Oisans oder geben Sie Ihre eigene Bewertung ab.